All strings are made inLighttension (average tension 3.9 kg). The wound strings arered copper wound. 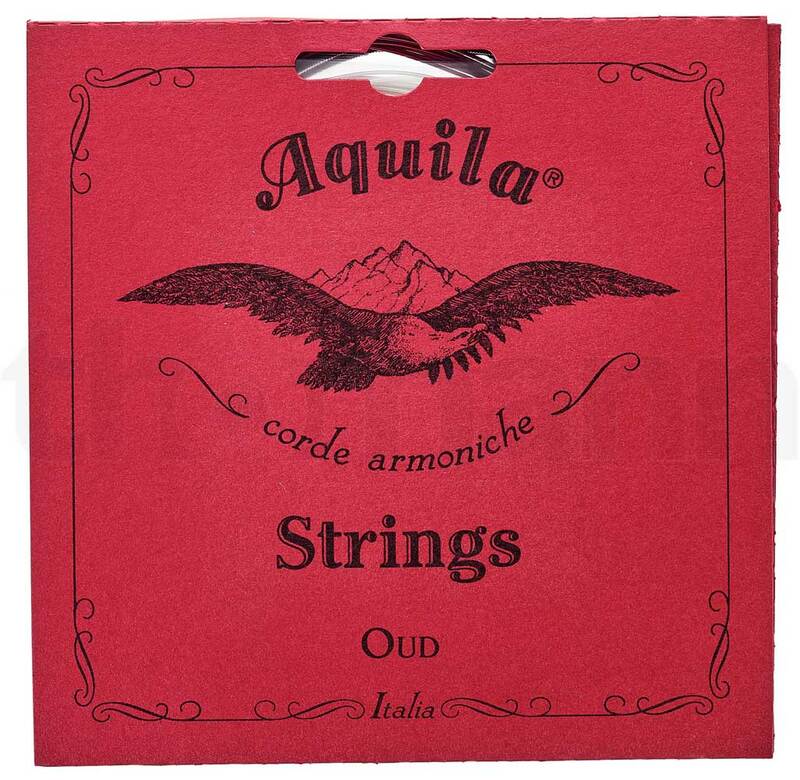 SUPERNYLGUT® - enjoy your playing with asuperb new lookand a better sound performance with theupgraded versionof Aquila's famous Nylgut® strings: SUPERNYLGUT Oud strings have a charming natural pearl colour and a very smooth and polished surface feeling. So pleasant for your eyes and for your fingers. It is less stretchy than any previous version of Nylgut®, resulting in a faster settling down to the desired tunin when new, and ease of maintaining stable tuning.